Kilian’s Oud perfumes from the Arabian Nights series have become a big favorite of mine, despite my not exactly big fandom of oud scents in general. They have introduced the next in the series, By Kilian Musk Oud. Created by Alberto Morillas, it has notes of lemon, mandarin, cardamom, coriander, cypress, Bulgarian Rose, geranium, davana, rum extract, frankincense, oud, Musk and patchouli. This will be the last in the Arabian Nights Collection. That makes sense since I’m not sure what else they can mix with oud. I’m not sure where I put By Kilian Musk Oud in the entire Arabian Nights collection, but I sure do love it. It’s a little more spiced than some of the other oud fragrances, and the drydown is a wee bit smuttier, leaning on the musk for its base, as it should. I don’t think I can say which one of them I like best, they are all just different and will appeal to what you’re trying to express. This one is a little more smoldery than the others. 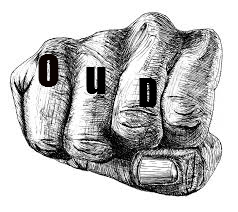 As with all the Kilian Oud fragrances, it is very wearable for an oud, but retains all the oud characteristics it should have, but doesn’t punch you in the fact with an oud fist. Hey, for a not overly crazy about oud person, this is a feature, not a bug. Now, whether you are feeling a musk oud perfume for summer? I’m not sure I’m that brave. it was fine for testing, but I’m trying to imagine going all day with it. It’s not overpowering at all and has a nice subtlety to it that’s surprising given the notes. Winners of last weeks’ drawing for the Durbano Heliotrope, the Diptyque Eau Moheli and L’Artisan Caligna sample set – Alexander, marcopietro and E.Lime. Just click on Drop Us a Note at the top or e-mail patty at perfumeposse dawt com (spooged to keep spam to some manageable level), remind me what you’ve won and send me your address, and I’ll get it out to you. This week let’s do samples of the By Kilian Musk Oud to three lucky commenters, and you all will also be able to pick one other in the oud series to get a sample. Just comment with whatever you want to talk about today – what you did for Memorial Day, if you love oud, have trouble with it or find it difficult. I’ll pick the winners in next week’s post. Hope you all had a great holiday weekend! I’m still a babe in the woods as far as OUD is concerned. I’ve had a few sniffs, and am assuming it’s that band-aid smell people mention? Oh well, maybe some day I’ll get to it. Tonight I spritzed some Azemour les Orangers by Parfum d’Empire and wore it while painting in my studio. It’s delicious. I had thought the bright orange chypre opening was too fleeting, but somehow this time it’s sticking around. Maybe I used enough to make it work this time. Seems that different fragrances require different ‘dosing.’ I guess that isn’t news to those of you who are more experienced. Oh, I forgot to add that yesterday was the second anniversary of my heart’s being rebooted after a bout of acute heart failure. Last fall was when I decided to start exploring the world of fragrances, and it feels symbolic of wanting to enjoy life’s little pleasure while I’m here. Kelly, so happy for you! And glad that you’re enjoying fragrance — definitely one of life’s best little pleasures. Sending you a big hug! Kelly! Happy Anniversary! Wishing you manymanyMANY more in health and happiness! Glad you’re still here sniffing and spritzing with us! I worked all weekend. I happen to be an oud fan, and am looking forward to sampling the new Musk Oud. I love oud and also have trouble with it. Some of the more unadulterated ones, like Tom Ford’s Oud Wood, have almost smoked me out of my own home. But Rose Aoud, Warm Aoud, Black oud…just keep ’em coming. A spiced musky smutty oud sounds like my idea of heaven. Incense Oud is one of my top 5. I like Rose Oud a lot too. This sounds fabulous. Kilian’s Ouds are the only ones I can wear consistently. I’ve never tried oud. That I recognised. Apparently there is oud in Slumberhouse Vikt, but it smells like Christmas wreaths to me, mostly. I worked today, not being in a Memorial Day country, and it was a hell of a day. I’ve been exploring oud and musk fragrances this year, so this release comes at an interesting time for me. I’ve had mixed results with Oud. I really don’t like those that are so strong they smack me in the face but I have also tried a few that were more subtle and found I loved their complexity. I always enjoy a non powdery musk and would enjoy trying an Oud/musk mix. Thank you for the oportunity to sample it. I love oud and do love the Arabian Night scents . I love oud mixed with rose, Incense the pure oud was too strong for me so i Will go for softer oud mix and Think this one Will be kinda Lovely. Me and oud: we have quite a difficult relationship! The few oudy scents I really like belong to the BK line: Amber oud being my favorite, but rose oud being the one I admire the most. I am very curious about the pairing of oud and musk, Thanks for the draw! I am not too familiar with the Oudh note. But I own a bottle of all natural perfume that contains oudh and it’s gorgeous (Escapade à Oman by Parfums d’Isabelle). It is subtle but stays on for a long time. It may definitely be worn all year round, it’s dry, a bit floral and woody. I am curious about the Kilian ouds! I have embraced oudness recently, I bought a tiny vial of oud essential oil and it was…challenging. But when mixed with rose or amber I love it. My favourite samples were Xerjoff Oud Stars, so complex and long lasting. But at that price the FBs stay firmly in the shop! Musk and oud were the two words that guaranteed to attract verbal abuse by any fumehead not too long ago. Somehow the industry managed to turn us around. We were complaining about every company issuing an oud or diluting our fragrances with musk and yet now we are totally sampling soliflores of the aforementioned notes. The only oud from Kilian that I have tried is rose-oud which was not particularly oudy to begin with. I would like to try Pure Oud just to see how the pure stuff is supposed to smell according to Kilian. I wouldn’t know an oud note if it came up and bit me on the nose, but I’d sure like to try it! I’m back to work today after a week off in my hometown. Wish me luck! Hey Patty!! I hope you had a great Memorial Day weekend. I love Oud! The by Killian Amber Oud is nice. Very pretty. I love Tom Ford Oud Wood as well. I’d love to give this one a try! I like oud, just feel it’s been overdone. Kilian’s Arabian Night series are to die for, however! I was surprised last year to learn how well The Guerlain Desert trio and Mamluk wore in the brutal heat of summer, so maybe this one will do well in warm weather, too! I haven’t tried oud perfumes much at all, but in preliminary testing it seems to be a note I will enjoy. I went to the Arboretum for Memorial Day and watched some movies with the family- Citizen Kane and The Good, The Bad, and The Ugly. Hey, Patty! DNEM, of course, but I’ve had the best “oud” luck with Kilian — really like their Incense Oud and Amber Oud. Some of the other ouds out there, not so much. I’ve found the note can go a little metallic on my skin sometimes and it makes me feel a bit unsettled. Hope you had a great holiday weekend too! That’s funny, because those are the two from the line with no oud in them. It will be interesting to see what Alberto Morillas did with this latest release. Kilian must have been pleased with the sales for Good Girl Gone Bad and had him back again. By Kilian Musk Oud sounds a bit like Amouage Jubilation XXV. I tried a couple of oud perfumes and found them to be quite strange, esp. when they’ve been on my skin for awhile. The scent morphs into something odd–maybe that’s the right spelling of “oud.” If I feel compelled to apologize to the people around me for my “odor,” there’s something wrong. I can’t quite make up my mind on oud. I don’t really think I feel strongly about it one way or the other. Hi Patty! I love Ouds, and have been experimenting with them this year. ByKilian’s Amber Oud was lovely and while I was on vacation, I had the opportunity to try the Rose Oud. I didn’t like that one as well, and I was hoping I would. I’d love to try the Incense Oud and am very excited to try the Musk Oud. Thanks for the draw! Sadly, my favorite so far has been Mona di Orio’s Oud. Man oh man, so expensive, but beautiful. I love oud! I love it filthy dirty or smooth and elegant like the Kilian line… it is a favorite note! I am hard pressed to pick a favorite in the Arabian Nights series. I adore them all and can’t wait to try Musk Oud. I sometimes wear Oud on a hot summer night, but not so much during the day. Yummy! I love Oud! DNEM but I wanted you to know I dropped by. Oh what a wonderful draw. Thank you. I just ordered a decant of Rose oud and would love to sniff the others in the collection. Yes, I am a fan of oud and of Perfume Posse. I *love* oud scents on paper, but so far I haven’t found one I feel comfortable wearing. I’d love to give by Kilian’s collection a try! I haven’t tried oud scents yet, but all the notes in this one sound right up my alley! Given that the weather insists on only warming up sporadically this year, this may be a go to summer scent. : ) Thank you for the draw! I really like Oud in theory, but most of the ones I’ve tried have been too harsh and loud. MFK Velver and Cashmere Ouds were lovely though, had a chance to spritz in a store. BK Musk Oud sounds highly enjoyable–spicy and a little smutty is how I like my scents 😉 Thanks for the draw, please count me in! For Memorial day, was getting over a bug, so didn’t get outside much…Did manage to get a desk to use as a vanity table for all my makeup, face care, hair care, lotions potions and ‘fume…have been organizing it for a while now. I have only tried the BK Incense Oud but it is fantastic! I misplaced the sample and couldn’t stop thinking about it. Luckily I found it! Would love to try the Musk, please enter me in the draw! I worked through the weekend. Would love to try the new Musk Oud. Love Oud, and don’t mind the band aid note it sometimes has. I also love musk, so please! I haven’t tried a lot of oud. I like Atelier Cologne Rose Anonyme, which I think has an oud note in it. I’ve tried a couple of the Montale Aouds, Ambre and Moon Aoud, and I had trouble with both of them. It wasn’t the oud that I couldn’t deal with in those, though; I think it was some other modifying ingredient used for amplification that made the whole thing feel like I was being stabbed in the nose. It was especially strong in the Ambre one. That sucker was powerful. It had leaked just a little in its ziploc bag, so I could smell it before I even opened the envelope when I got it in the mail. I liked Moon Aoud better. Whatever was so stabby in the Ambre Aoud wasn’t as prevalent in Moon Aoud, though it was present. It was just prickly instead of stabby. I sniffed one of the MFK oud moods (I just like saying “oud mood”.. :P). I don’t remember which one it was right off-hand, but on a card it smelled like barbecue smoke to me. I’ve wanted to try the Aftelier oud, but I haven’t gotten around to it yet. I like many of the Montale oud fragrances. I’m not sure how I feel about oud because I don’t have that much experience with it. Would love to try this, though. We had a quiet Memorial Day, but our neighbors had a block party on Sat and we went to see the Cleveland Symphony at Severance Hall on Sun. Fun weekend overall. How wonderful! I am dying to try the oud series for sure. My memorial day was not really much fun. I spent it in bed with a bad case of body aches and all sorts of weird symptoms. Rose Oud has a scent you can find in so many other places, nothing new or special, although still a good scent. Pure Oud, the name just gives it away. It is too much for me though, to animalistic and sour. Incense Oud is also not all that original, but it is a very good scent I’d love to give a few wearings, so I would love a sample of that, as well as giving Musk Oud a try. I haven’t done much experimenting with oud except for some Montales. I do love Black Aoud in small doses. I had a chance to visit Manhattan recently and went perfume browsing. Ended up trying some By Kilian fragrances. The man who was showing me the fragrances was so kind and informative. I really liked Rose Oud, I can still smell it on my jacked from that day. Thank you for this draw! I’m pretty interested in this one even though a large amount is definitely not in my budget. I love Amber Oud so I hope this one is just as good. Oud is a difficult note for me, sometimes I love it and sometimes I can’t stand near it. An example of my total love for Oud would be MdO’s one and an example of an oud that makes me sick to my stomach is Montale’s White Oud. I will absolutely love to try by Kilian anything. I never really cared for any oud fragrance until I smelled Rose Oud by KIlian. I like this a lot! and am tempted to buy a bottle or a refill, but it’s so darned expensive. 🙁 I’m really curious how Musk Oud will smell, as I like other fragrances Alberto Morillas has done. I like Kukdjian’s Oud, it ends up being kind of fruity. I like musk so this interests me! I am a big oud-lover: Montale, Kilian, mona di Orio, Amouage. I have the whole Kilian Arabian Nights collection and love them all, including Musk Oud. I find it to be a great balance between oud and musk, not too skanky. Dnem since I already have a bottle. and the Kilian Musk Oud takes you to a place of sensuous mystic and keeps you wondering what will my lover think when they smell this one on my body.